Miami-Dade is located in South Florida and was formerly known as Dade County. Its coveted location amid sparkling waters, verdant landscapes and stunning skyscrapers crafted with modern aesthetics make it a perfect place to not only live but also vacation. Miami-Dade is what vacationers expect from luxury holidays! In all these years, this region has never failed to attract a steady stream of tourists, thanks to its pulsating night life coupled with scenic wonders. The urbanization of Miami-Dade can be attributed to Henry Flagler who decided to bring railroads from Palm Beach all the way to this county. The expansion was soon followed by development of holiday resorts and before you knew it, real state exploded in the region. One thing led to another and soon the county became one of the most rapidly growing communities of South Florida. As magical as Miami-Dade County is, it has a dark history beneath its glitz and glamour. No matter how beautifully wrapped this province is, no one can forget the simple fact that it is also located in a disaster prone area of Florida. The topography of this region is such that is no stranger to turbulent weather. Only 6-feet above the sea level, it often gets flooded when nature unleashes its fury. While the county relies heavily on its pumping systems that can flush out water faster than flooding it, there is only so much it can do. On some days, it is no match to nature’s powerful forces. In 2005, Hurricane Wilma shook the local community and left behind unbelievable devastation. It wrecked everything that was unfortunate to cross paths with it and caused damaged to the tune of $10 billion! Even though the authorities have always stood by the locals in these testing times, Miami-Dade could not have overcome a disaster of large magnitudes without the help of damage restoration companies such as Key Biscayne Restoration Company. It can be a rainstorm or a full blown hurricane; we never wait for it to pass because we know you need our help right away. All it takes is one call and we rush to aid our customers. 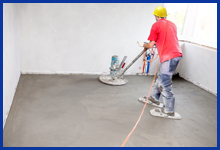 We stay with you right from water extraction stage to making your property habitable again. Many companies used these disastrous events to swell up their coffers, but not us. We have a duty towards our customers and that is to deliver high quality service at affordable prices. We don't charge you anything that we don't rightfully deserve. We acted fast, provided quick service 24/7, even when the county was plunged in darkness during certain disastrous events. We understand that the longer we wait in providing remediation, the more will be the damage. Key Biscayne Restoration Company is your go-to service for something as massive as fire damage or for trivial issues like a leaky faucet. There is no task that our experts think is too big or small. Just give us a call on 786-309-9751 and we will be there to help you! There is no one else in Miami-Dade County that can promise you assistance within 30-minutes. We are here to give you reliable and affordable services just when you need it. Save our number 786-309-9751 to your phonebook now!